If we can be certain about anything in the current climate it is surely that this summer will be all about 10pm on Thursday 8th June. 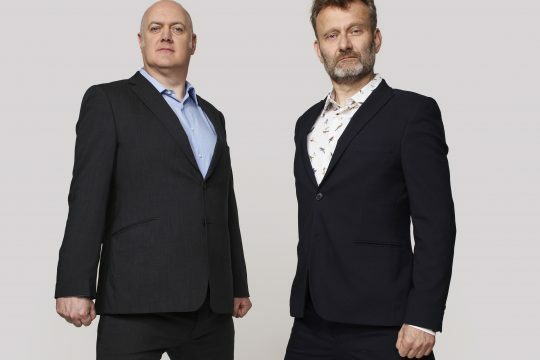 From the moment the date was announced, the country has been abuzz with speculation as to which issues might arise, how personnel could change and what the future will hold, but, however it does finally pan out, Series 16 of Mock the Week will definitely be the best yet. Westminster sources insist the Prime Minister’s noting of the long-running comedy show’s impending return to BBC TWO wasn’t the only reason for her snap General Election announcement, but she’d be far from the first public figure to act quickly rather than risk the after effects of satirical surgery from Dara O Briain, Hugh Dennis & Co: “Healthy poll ratings meant an election was probably in the back of Theresa’s mind, but I’ve no doubt the prospect of a cheeky Newsreel, a damning Picture of the Week or, worst of all, a relentless Scene We’d Like to See forced her hand and necessitated the quick turnaround,” said a man eating a pasty outside Embankment station. 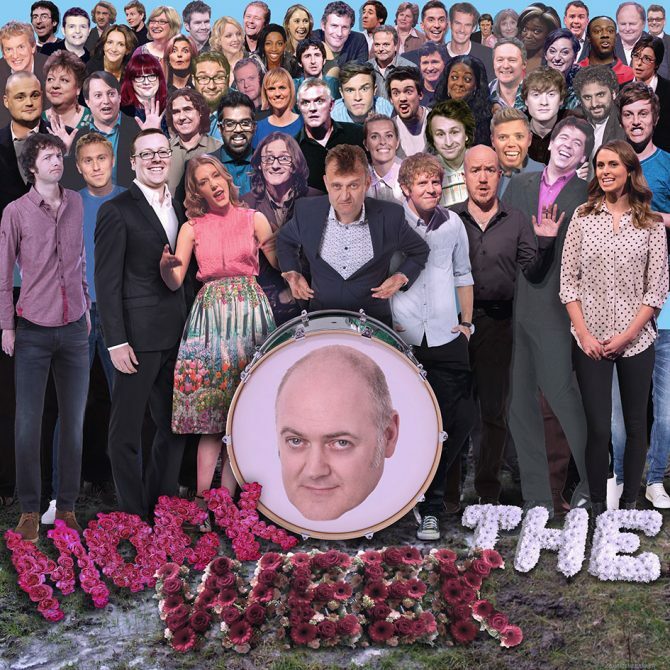 However, as the accompanying artwork (sort of) illustrates, Mock the Week’s role in public life is not only to serve as a catalyst for political action, but also to act as a sort of comedy Valhalla. Across its 12 year, 162 episode life span, the show has provided a platform for many of the stand-out stand-ups of the 21st century and this year’s run will be no exception with established names such as Ed Byrne, Sara Pascoe, James Acaster, Ed Gamble, Angela Barnes, Milton Jones, Nish Kumar and Zoe Lyons mixing with newcomers including Tom Allen, Tez Ilyas, Kerry Godliman and Felicity Ward to name just a few. 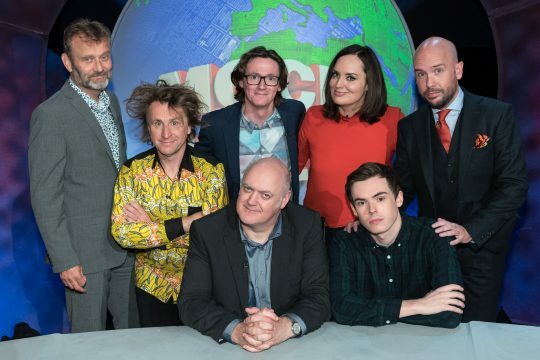 Mock the Week was created by Dan Patterson and Mark Leveson, the creative force behind the iconic improv-based show Whose Line Is It Anyway? which ran for ten years on British TV before successfully transferring to the United States. Ruby Kuraishe is the Executive Editor for the BBC. It is produced for the BBC by independent production company Angst Productions. Series 16 runs for six weeks in June and July and returns for its second half in September and October.